Kincaide Construction provides a complete service for both residential and commercial rain gutters throughout the Detroit Metro area including Taylor, Brownstown Twp Wyandotte, Canton and surrounding towns. Kincaide Construction is an A + rated gutter contractor of the Better Business Bureau. Our world class gutter repair contractors are pro's when handling both residential and commercial gutter projects. 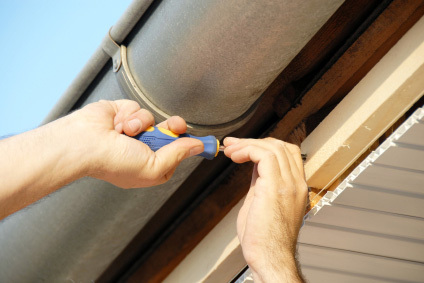 Along with providing both gutter repairs and installation we can also help with wood work including soffit and fascia repairs. Gutter Works, LLC offers and installs a wide variety of rain gutter products: commercial gutters, residential gutters, maintenance free and clog free gutter systems, seamless aluminum gutters, specialty gutters (half-round gutters & copper gutters), gutter screens, gutter guards, gutter covers, rain barrels, rain chains, conductor heads, corrugated rectangular downspouts, round downspout, smooth rectangular and square downspout. 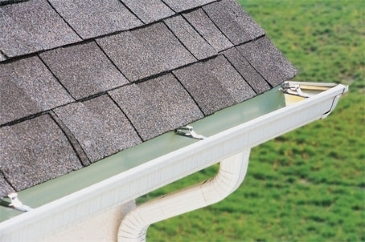 Gutter Works offers do it yourself gutters, metro atlanta seamless gutter delivery for the contractor or homeowner. For most homeowners living in Detroit, MI the single most important investment is their home. Living in SE Michigan the greatest hazard that can damage your home is water damage most commonly rain damage. Your only defense for rain besides a roof is a efficient gutter system or even better, a gutter system that is clog free and maintenance free.